Is there anything more fun than getting friends wet on a hot summer day? 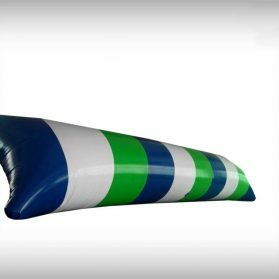 Our inflatable water blob are safe, sturdy, and easy to play. If you are looking for memorable entertainment for your next event, inflatable water games will provide your guests with hours of delight and unforgettable laughs! 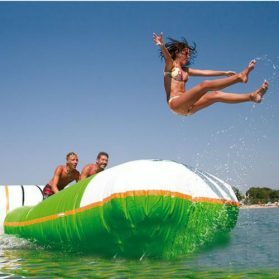 our sealed or air-tight games Giant water games are those big sewed water games that can be used alongside a pool,a beach or a river,they are suitable for water parks and are perfect to use on water. Our sealed water games include all sealed structures that can be used on water.They can float on water for people to play on it. Just cool off in the summer,your fun will be endless. Powered by strong UL&CE blower (included). Heavy duty commercial grade material. Long fill tube (5’) so blower can be placed farther away from the bouncer. Velcro banner for your logos. Emergency exit for faster deflation process. Rental package guide if you are a new rental business. 650gsm/0.55mm thickness heavy-duty, laminated and coated pvc fabric. activity. Reinforced seams ensure puncture-proof jumping. We want to make sure you’re completely satisfied with our products. All of Our products come with a 2-year warranty*. Blowers come with a 3-year warranty.